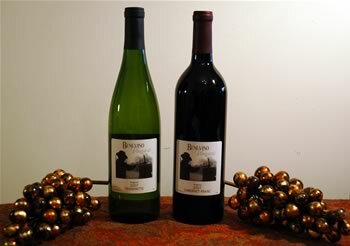 – an Italian saying often attributed to wine, translated as: "Live Well, Love Much, Laugh Often"
Welcome to the web home of Benevino Vineyards, a small ultra premium winery that is ready to pit Virginia wines against the best of the rest of the world. Extensive research, meticulous attention to detail, and enforced quality control are hallmarks of our operation, as we handcraft exquisite wines for your pleasure. Check out our pages to learn our story and, perhaps, acquire some of the passion that we feel for the grape and wine as a civilized pursuit.